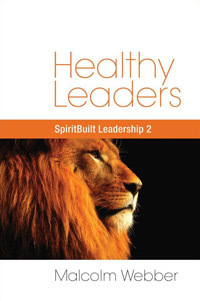 Healthy organizations have good leaders who nurture the development of other leaders at all levels of the organization. Rather than concentrating of coming up with new structures or policies in an effort to make the organization run effectively “by itself,” effective organizations start by getting capable, energized people in the right places so they will make the right decisions. Too often when a manager designs an organization he designs a mechanical structure of tasks and processes into which people can then be fitted (the “McDonald’s approach”). Through the establishing of a fixed division of tasks, hierarchical supervision, and detailed rules and regulations, such an organization is expected to operate as a machine in a pre-determined, routinized, efficient, reliable and predictable way. 1. The human factor, fallen as it is, is neither as reliable nor as predictable as wheels and cogs, and will ultimately fail. In other words, even the best of mechanistic systems will fail in the end – for human reasons. 2. Mechanistic systems have great difficultly in adapting to changing circumstances. They typically stifle creativity and innovation. Changing circumstances call for different kinds of action and response. Leaders at all levels must be genuinely empowered to make decisions and to act as the occasion requires. 3. Mechanistic approaches to organization can result in mindless and unquestioning adherence to the “system.” Thus, major problems can be overlooked with terminal consequences. 5. Mechanistic organizations can have limiting and dehumanizing effects upon the people – especially those at the lower levels of the organizational hierarchy who come to see themselves merely as “cogs in the wheel,” rather than taking a personal interest in, and responsibility for, what they are doing. 6. Mechanistic systems can impede and alter the necessary flow of communication within the organization by requiring rigid and cumbersome procedures. 7. Mechanistic approaches to organization can have unanticipated and undesirable consequences as the vested interests of those working in the organization take precedence over the vision the organization was initially designed to achieve. The organization can become its own end, rather than merely a means to the higher end of fulfilling the divine calling. 8. Healthy structures must proceed from life and facilitate life. Merely imposing structure cannot and will not ever produce life. And life is our goal! 9. In the church, our goal is the expression, not the subjugation to some predetermined goal or process, of what God has given each member. Instead of molding human beings to fit the requirements of mechanical structures and processes, “leader-friendly organizations” build around the strengths and potentials of their leaders and people. Our goal is not merely to raise up leaders who will maintain the organization, but those who will continually change it! At the end of the day, the church will thrive because of people and not because of structures or ministry strategies! The next Leadership Letter will consider whether we are building leaders or building organizations.